Official Synopsis: With the birth of her two daughters, Samantha gave up using crystal meth and heroin. But when she began consorting with figures from her druggy past, she fell back into addiction and soon lost custody of her children. 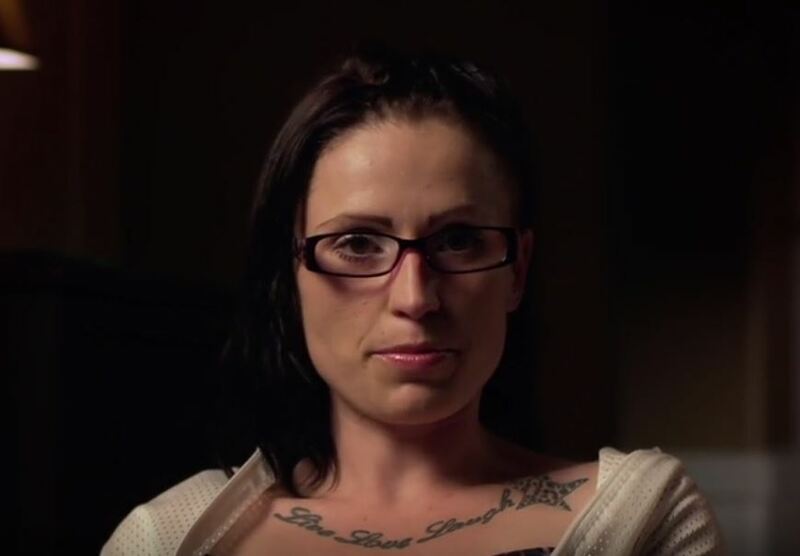 Samantha’s family are desperate to help her be the good mother she once was, but now she is addicted to fentanyl and her very life hangs in the balance. I root so much for Sam. Samantha will not be able to stay clean as long as that loser boyfriend is in her life. She will most likely have to leave Kamloops BC and settle somewhere else far beyond his reach in order to stay in recovery. I hope she moves far away and builds a new sober life for herself, and then sends for her children after being clean for a full year. I have a hard time feeling sympathy for Sam. She has so many people in her court that have consistently helped pulled her up and get her life back on track. And she kept going back to the same, drug-addicted boyfriend! She KNOWS he is/was a trigger- yet she put herself and kids on a greyhound bus to go to him?! Sam’s step father Mike is an amazing man. Watching his love for his family is beautiful. Father of the year for sure! During the whole episode, I thought she looked the same age as her mother, but in worse shape. At the end, I could not recognize her, I even said ‘wow’ out loud in front of my screen. I’ve rarely seen someone look so different on and off drugs. She isn’t using fentanyl and seems to be smoking meth. Can anyone send me a link where I can watch her episode? It’s on YouTube I’m watching it now intervention season17episode8 type that in. Does anyone know how is she doing now?